All persons who provide health or administrative services to Medicare or Medicaid enrollees or who receive payments from the Medicare/Medicaid system. Physicians, Nurses, Hospitals, Home Health Agencies, Laboratories, Drug Manufacturers, Health Plans, Pharmacies, Durable Medical Equipment (DME) Providers, Pharmacy Benefit Managers (PBM), Insurance Agents/Brokers, etc. Medicare/Medicaid Fraud Waste and Abuse compliance for an organization revolves around establishing a formal compliance program to detect, correct, report, and prevent fraud, waste and abuse in the organization and a compliance training program to establish fundamental expectations for compliance, disclosure, transparency, and quality of care when working with the Medicare/Medicaid system and its enrollees. The Centers for Medicare and Medicaid Services (CMS) require all organizations which provide health or administrative services to Medicare or Medicaid enrollees or who receive payments from the Medicare/Medicaid system to establish a Fraud Waste and Abuse compliance and training program. As part of satisfying the Fraud Waste and Abuse compliance requirements established by the Centers for Medicare and Medicaid Services (CMS), employers are required to provide a Fraud Waste and Abuse awareness and General Compliance training to all employees within 90 day of hiring and annually thereafter. Our Organizational Training is for an organization looking to train its employees on Medicare/Medicaid Fraud Waste and Abuse and General Compliance and obtain their Medicare/Medicaid Fraud Waste and Abuse certification for them for compliance record keeping. 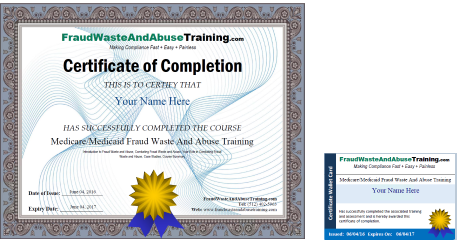 This online training course is valid for all US states and territories and meet or exceed the requirements for Fraud Waste and Abuse and General Compliance training established by the U.S. Centers for Medicare and Medicaid Services (CMS). To setup an organizational training account, simply enter the number of training seats you need in the QTY OF SEATS field in the Online Fraud Waste and Abuse Course section below, and then click on the ADD TO CART button and then CHECKOUT to complete your registration. Our online training course is meant to satisfy the training requirement for both Fraud Waste and Abuse and General Compliance established by the Centers for Medicare and Medicaid Services (CMS) in order to provide awareness on fundamental expectations for compliance, disclosure, transparency, and quality of care when working with the Medicare/Medicaid system and its enrollees. Everyone must take this course to satisfy the training requirement from the CMS. The Fraud Waste and Abuse compliance requirements established by the Centers for Medicare and Medicaid Services (CMS) also requires that formal compliance program documents and controls be put in place to detect, correct, report, and prevent Fraud Waste and Abuse in the organization. Our Medicare/Medicaid Fraud Waste and Abuse Documentation Kit is mean to be utilized by your compliance officer to put in place the above documents and controls required by the CMS Fraud Waste and Abuse requirements. At the same time they are putting that in place, we are training them as a new compliance officer through a unique "Hands On Learn by Doing Approach". Our documentation kit is very easy to use, comes with a step by step jumpstart video that walks you through the entire process, and provides ready to use templates in Microsoft Word format for easy download. Once you download the templates, they become your master copies on your local network/pcs and they are yours even beyond the 1 year online access. Finally we fully support you through the process, so if you have any questions, you can contact us anytime. If you are looking to purchase both the Documentation Kit and the Organizational Training, we recommend you purchase them as two separate purchases with their own unique login. That way you can have a separate login for the compliance officer that contains the kit and a separate login for the employees to take their training. 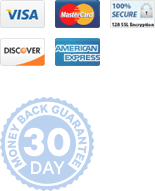 To purchase, simply click on the ADD TO CART button below. 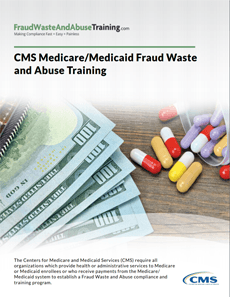 This Medicare/Medicaid Fraud Waste and Abuse Documentation Kit contains all the the documents and forms needed for complying with the documentation requirements of the CMS Fraud Waste and Abuse requirements. The CMS Fraud Waste and Abuse requirements requires that an organization designate someone as the Fraud Waste and Abuse compliance officer to be responsible for Fraud Waste and Abuse at the organization. This does not have to be a full time position and can be an additional duty for someone. The main responsibility of the Fraud Waste and Abuse compliance officer will be to get the organization initially Fraud Waste and Abuse compliant and then to maintain it and be a point person for questions or complaints. Training of a new Fraud Waste and Abuse compliance officer is automatically handled as part of our documentation kits where we train a compliance officer through a unique "Hands On Learn by Doing Approach". For more information, click on the the Documents and Controls box above. After giving the awarness training to staff, you will want to do a site specific training which includes going over the site speciic exposure control plan, determining who needs and wants to be vaccinated, and answering any questions.